And yet, I am absolutely convinced that is a superb learning and teaching tool. Let me explain. 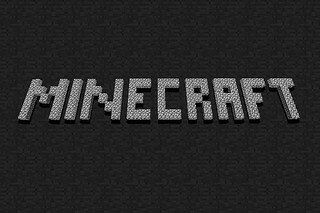 First, listen to how Minecraft describes itself. Reread those last four words, create wonderful, imaginative things. Bingo! That’s the beauty of the game better than I could ever describe it. In an education system that stresses conformity, rote memorization, and testing, Minecraft also students to create. They create by themselves and with others. The only limits are their imaginations. What imaginations they have, if we allow their use! I learned this quickly. Truly amazing educators have put their imaginations to work as well. You can build or tour famous ancient buildings. You can learn design. You can learn about economies and manufacturing. You can breed animals and creatures to learn about genetics. You can even create a massive civilization game to experience history. This was a student project about artificial bones. He wanted to build a model to illustrate how bulk metallic glass could be used as a very strong artificial bone substance. 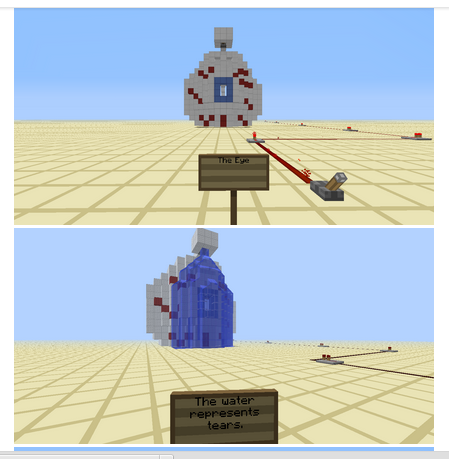 Minecraft not only helped him understand the science behind his research, it allowed him to present his ideas in a relevant, interesting way the entire class could appreciate. I was blown away with the creativity and advanced thinking. By the way, the whole topic and project was his own unique idea. One student was absolutely smitten by how the eye and brain work together. His in-class project explored how your eye helps to kickstart the brain. He was so interested in this idea that he went home and played around with developing connections between the eye and brain. There was no assignment and nothing to turn in. He just wanted to enhance his own knowledge because he was intrinsically motivated. 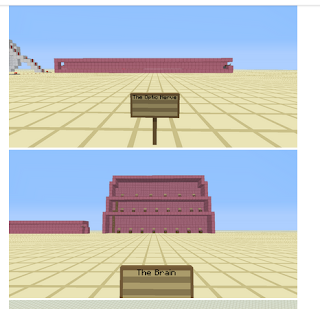 Minecraft allowed him an arena to build and design his ideas. How does Minecraft mirror reality? 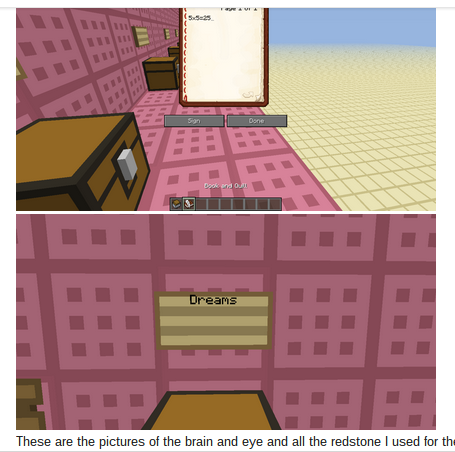 One student continually tried to convince me that Minecraft was just like “real life”. I was just a tad skeptical. He definitely had a passion for his theory and his argument was internally consistent (as much as one could expect out of a seventh grader). So I told him about Padlet and challenged him to back up his claims. He did so with pictures, text, and video. In my opinion, this was an advanced piece of philosophical work, not to mention an exercise in language arts. Minecraft helped him understand his physical world. It might be hard for me to fathom, but this is high level learning. The basis of Minecraft is blocks. What a wonderful way for students to visualize fractions? It also gives students a chance to play with fractions. Why does 1/2 plus 1/2 make a whole? What is a whole to begin with? By reading A Mathematician’s Lament by Paul Lockhart, my very understanding of math was shaken to the core. Math is neither a set of numbers, nor necessarily an area for practical usage. Math is an art form. Math is imagination. Math is trial and error. Math is fun. This very idea can be reinforced by Minecraft. Students can play around with blocks to see what happens. This is fractions and this is math. Students love shapes. The last few weeks of school I asked my fifth grade math class to skim through the math textbook and pick anything they wanted to learn. It was shocking how many of them chose triangles. It is one thing to memorize formulas for triangles, it is another to try and create them yourself. When building triangles in Minecraft, it becomes apparent how they really work. Triangles are not two-dimensional drawings on paper, but design problems. How many blocks are needed on the base to get an appropriate shape? Is there a pattern there? This is engineering in action. The same thing occurred as students started to explore angles. How are they made? Are the complex? Are they easy to build? Does shape matter? Building an obtuse angle is a challenge. Drawing one, not as much. The connections and creativity are truly mind blowing. All the stuff above is great, it really is. Many times it has left me speechless. I might not like the game as a playing experience, but I love what my students can do with it. I have also loved learning from them and sitting back in awe. I am dumbfounded by their motivation, their experimentation, their trial and error. I am all smiles when frustration is not seen as a negative, but rather a challenge. Minecraft allows young people to own the design process. Minecraft allows them to build, create, innovate, explore, play, learn, and have fun. It teaches the creative process. This is way more important than any formula or theory I could teach them. The one thing I struggle with is if the students themselves realize how much they are learning. Is there development of meta-cognition? Do I need to step in and announce they are wonderful designers? Do I need to spell out that they can create the physical world around them, just like they do in their game? Do I need to point out the similarities between Minecraft and authentic learning by experimentation, intrinsic motivation, and trail and error? Or should I just let them play? For right now, I will enjoy the outcomes and hope the students are gleaning these important life lessons through the process of their game. Tim Monreal aka The Bearded Teacher is an educator, blogger, innovator and friend. Tim maintains a blog called Learning Creative Learning. I found out about Minecraft in our summer programs; when we started mapmaking in social studies with new 7th graders this month, one student was unmotivated and struggling. 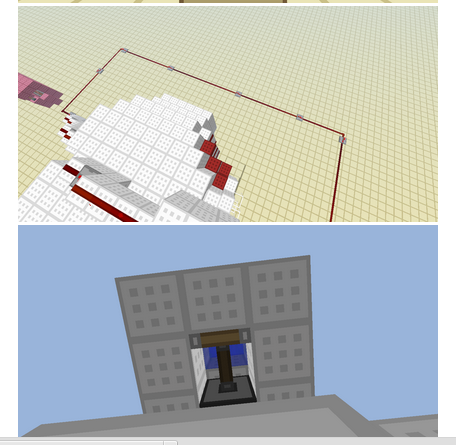 I made a random comment about wishing I knew more about Minecraft, and he asked if he could use it to create a model of the classroom scale model map we were working on. I told him he could do that and get extra credit, but had to finish the project assignments FIRST. He finished the week of work in one day, made the minecraft replica (30 drawings) and we showed it to the class. The students were very impressed! So was I! It was a winner!!! !